You can save a precious life…and nourish your own. Harsh and cruel experiences have led many of our young to believe that they are alone in the world and that no one cares. The Seattle CARES Mentoring Movement seeks to dispel that notion by providing young people with role models who will play an active role in helping to shape their development. By mentoring a young person, you can help redirect the course of his or her life. A disproportionate number of youth we serve are African American males who more readily form a trusting bond with African American mentors. 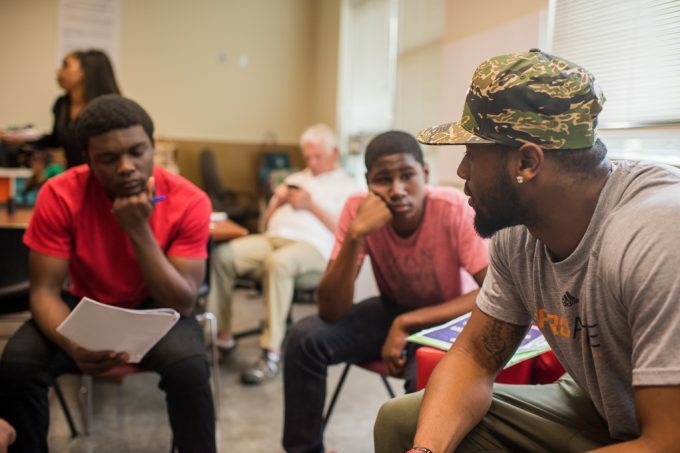 Despite our targeted effort to recruit African American men as mentors, few men volunteer to mentor our at-risk youth. At CARES, we believe that transformation does not begin in the statehouses, but in the houses, we live in. African Americans — the high and the humble — are longing for what is greatly needed but rarely stated: a safe place to heal our hurt, depression and self-denial — legacies of centuries of enslavement, Jim Crow practices and racism internalized over generations — that often prevent us from caring well for ourselves and our vulnerable young. Impoverished African American children have been long harmed and yet are expected to thrive without the whole body, mind and spirit support regularly offered to middle-class and affluent children when their lives are disrupted by violence and loss. We seek to provide our mentors with these same needed supports so they, in turn, will provide them to our youngsters. Equally important, our consciousness changing curricula and programming address literacy and other academic gaps, including those in the STEM (science, technology, engineering and math) arena. Additionally, the CARES curricula provide road maps to financial competency, healthy relationships, whole-body health and wellness, and other life-nourishing supports. CARES trainings are meant to fortify African Americans to withstand the multiple stressors impacting our lives and to instill mutuality and a love for learning and sharing so that we will be able to achieve community restoration. The CARES team knows that young people thrive when they are surrounded by a strong circle of adults who listen to them and support and celebrate their intelligence. Nearly one in five of our young ones is living in “extreme poverty,” defined as a family of four with a household income of just $12,150 a year. This is the work that we do through our national mentor-recruitment, training and placement efforts. Addressing the dire need for able, stable African American mentors, CARES has designed a highly effective strategy for recruiting, training and keeping mentors engaged. In our group-mentoring framework, large numbers of youngsters are connected with a circle of caring adults who are committed to supporting them and the adults in their lives for the long term, and to ensuring happy, healthy and flourishing social, emotional and educational experiences.